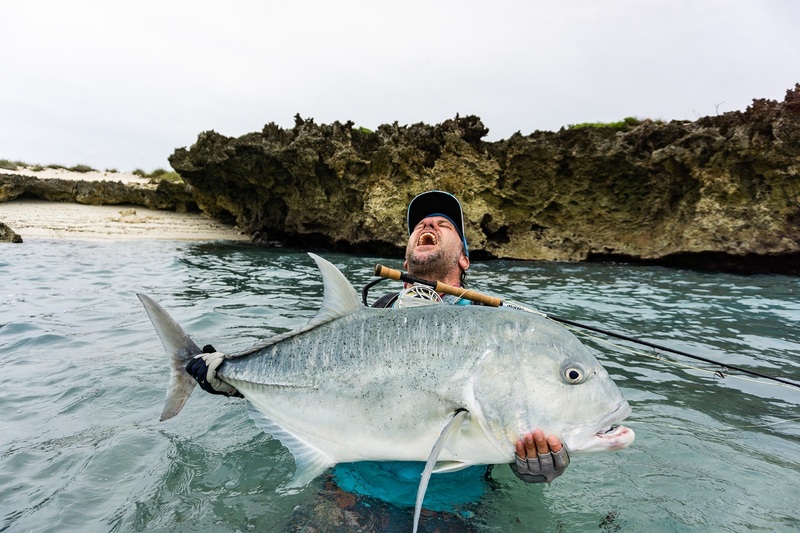 Astove Atoll Fishing News - Spring Tides Equals Successful Surf Walks! 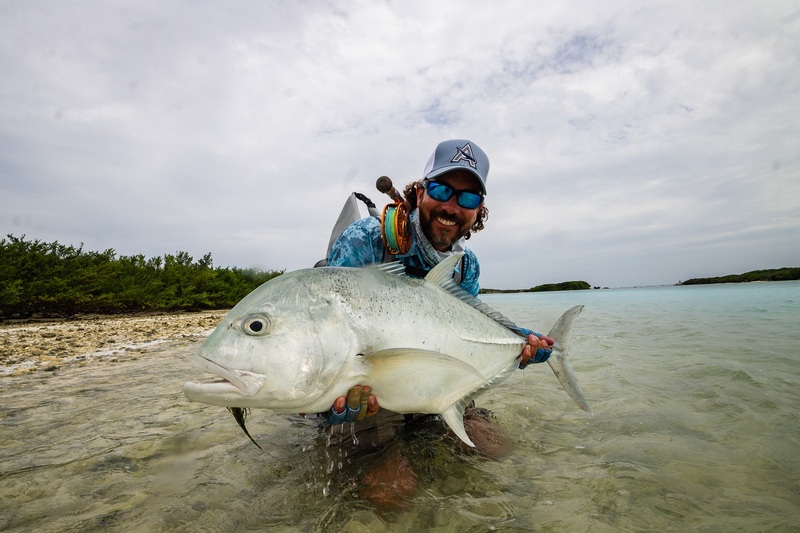 Astove Atoll Fishing News – Spring Tides = Successful Surf Walks! Fishing is something that has a tendency to bring people together. This week’s group was a perfect example of this. A motley crew of guys from Canada that have all been fishing together for the last few years. 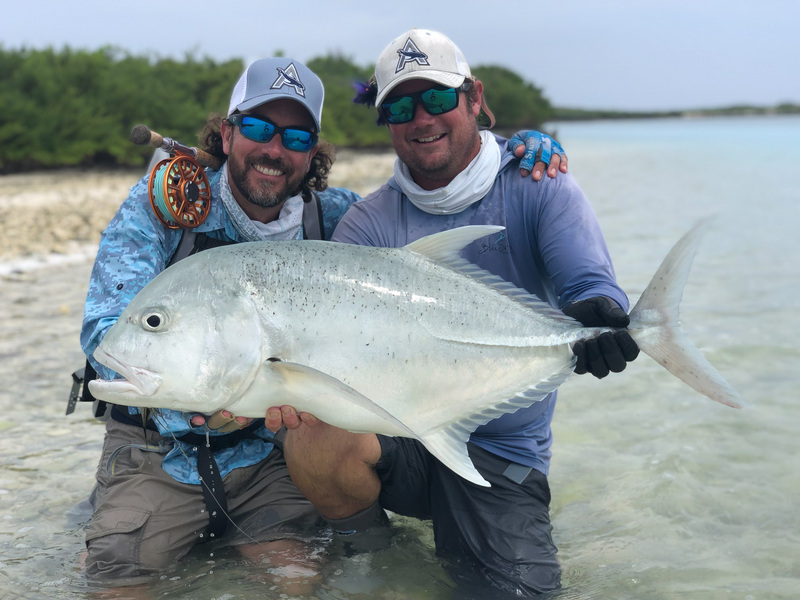 Their friendship stemmed from the joint love of traveling the world looking for some of the best and untouched fisheries the planet has to offer. Astove Atoll fits their bill perfectly, being as wild and untouched as possible on our planet today. Our guests this week were met with a fading moon moving quickly into a new moon spring tide cycle. Big tides on Astove generally means big surf walks as well. All the guests this week were ready to test out their new boots and see what the Astove surf had to offer. The weather was challenging midway through the week. A big tropical depression was sucking wind and clouds over Astove. This made for some challenging light and casting conditions. However, there was no lapse in enthusiasm and effort from the whole team. On the first day out on the flats, most of our guests managed to tick their GT box for the first time. JD Miller and Steve Bronfman had a great day landing eight GT’s between them with Steve’s fish of his trip stretching the tape at 104 cm. 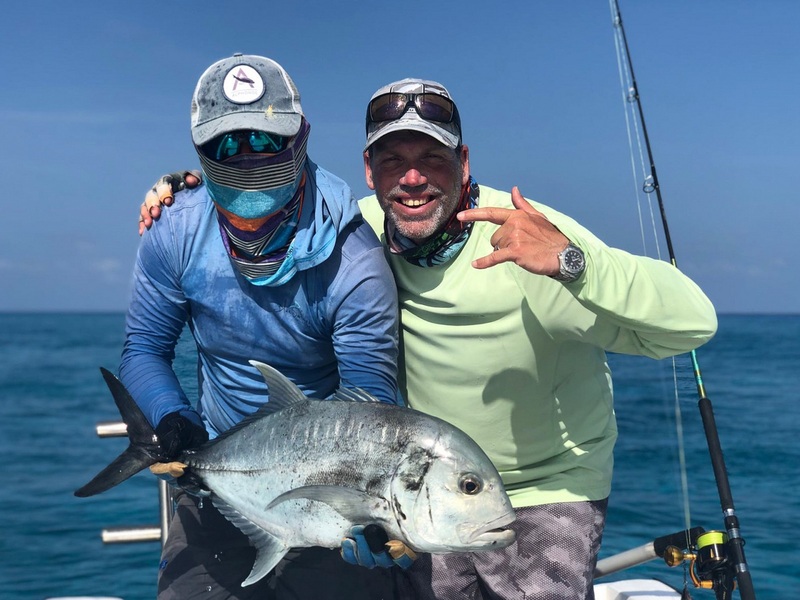 Battling with a fish of this caliber in the surf is an incredible experience and Steve did well to slow the fish down enough before it ended up behind the surf. Over the next few days the light got challenging but the fish were still around. 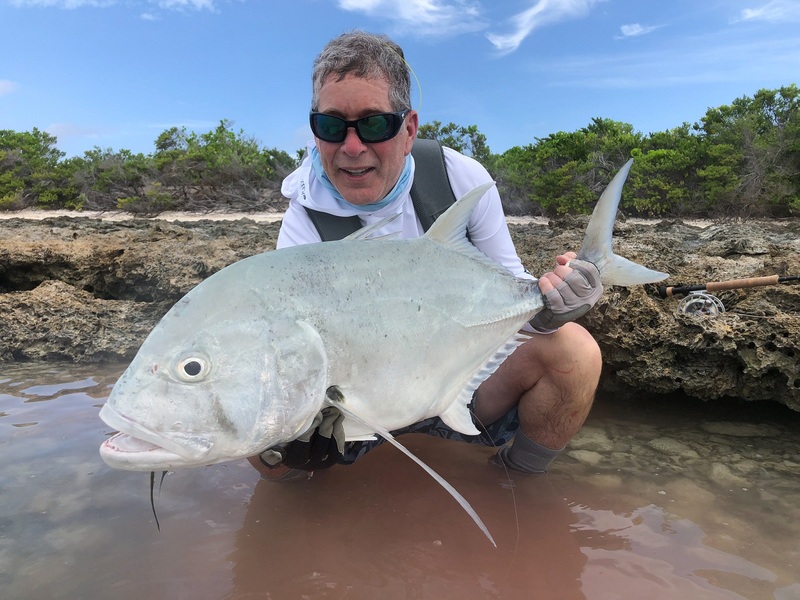 Martin Leroux now named, “Big Fish Marti”, landed his biggest fish ever on a fly rod off ‘The Cliffs’, an incredible 108 cm GT. 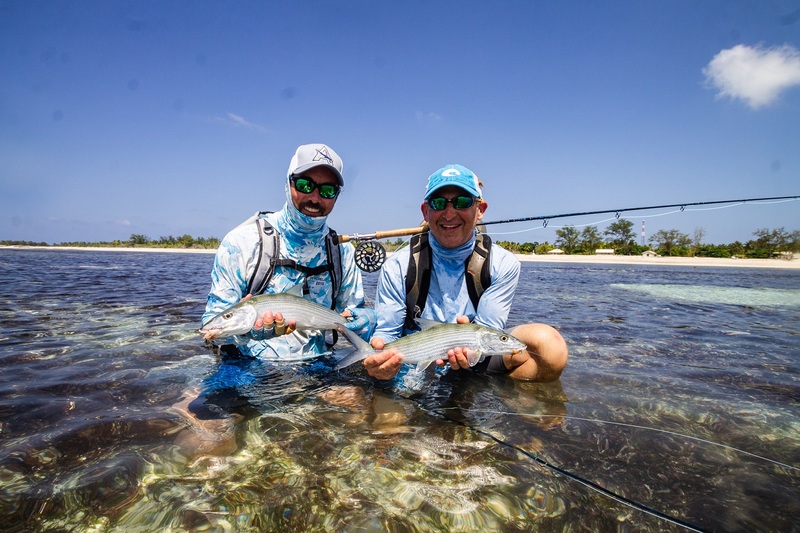 Warren Werbitt, Stewart Webster and Marc Savaria all managed some outstanding GT’s and some amazing bonefishing. 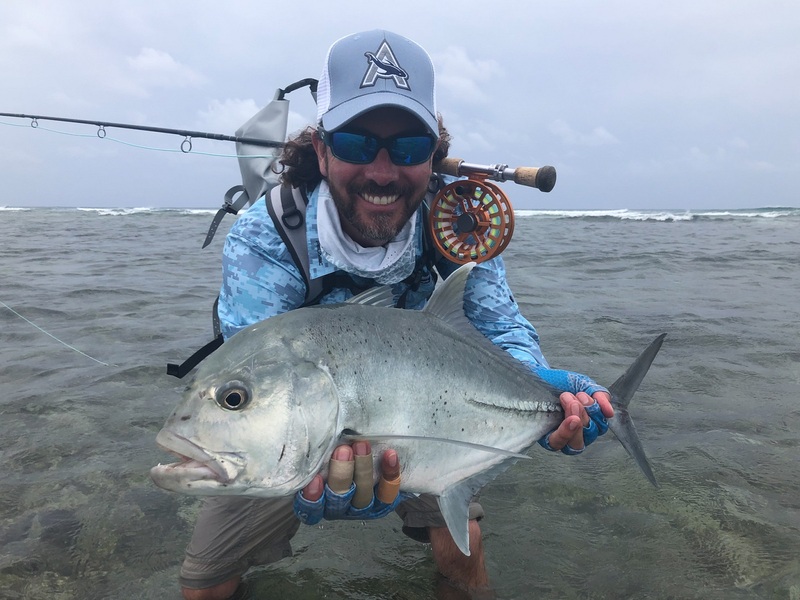 Between the Group we finished the week off with a total of 51 Giant Trevally’s and 112 bonefish, excellent results considering the weather. Tight Lines from the Alphonse Fishing Co. Team on Astove Atoll!